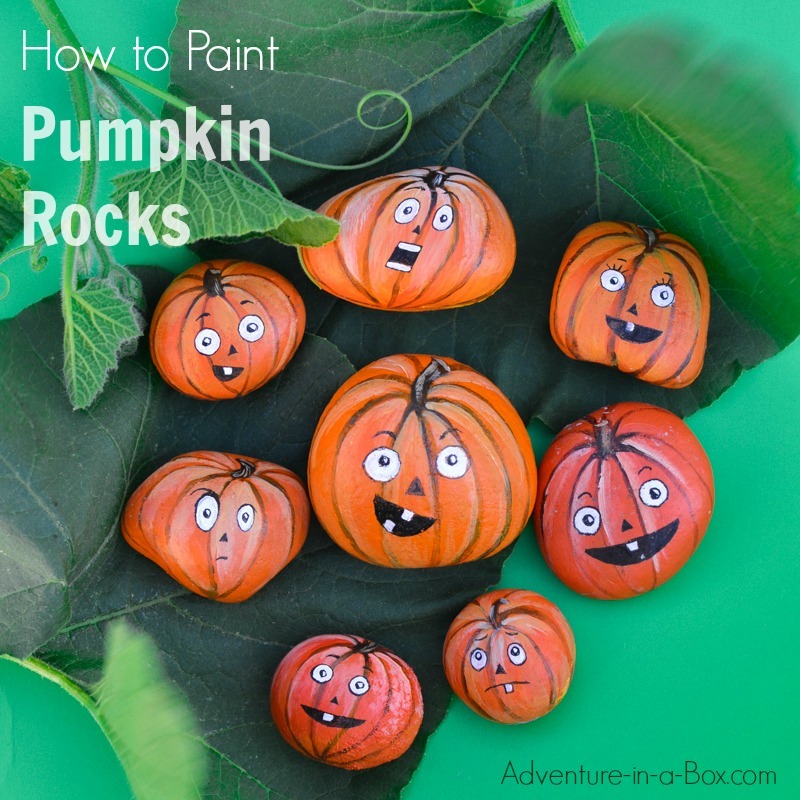 If you like painting rocks, here is a fun autumn craft for you and the kids – turn rocks into jack-o-lantern pumpkins! This year, I didn’t have pumpkins. Alas! 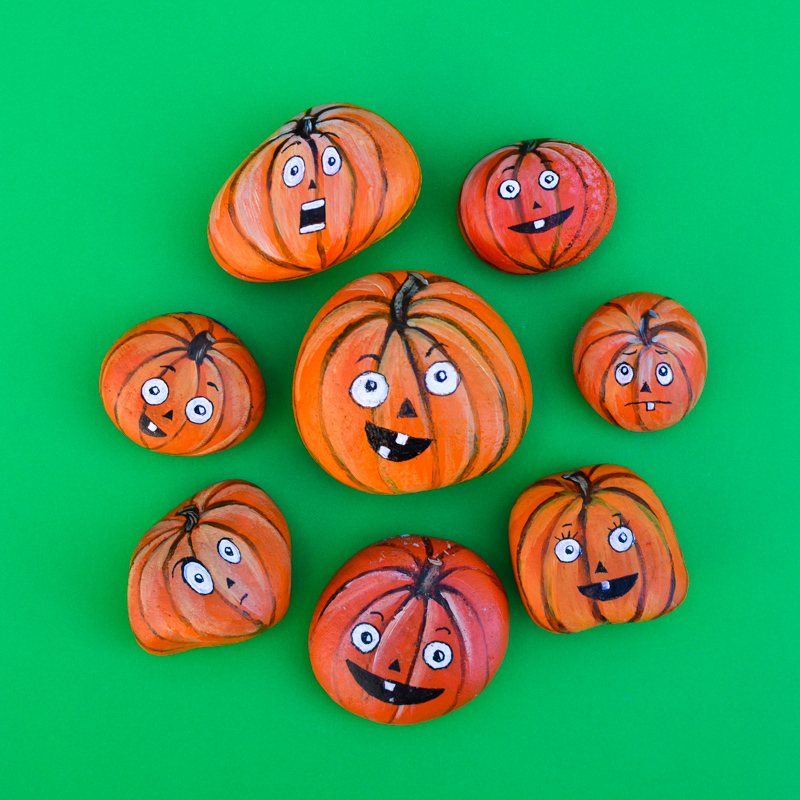 To satisfy my autumn crave, I painted a bunch of pumpkin rocks instead. 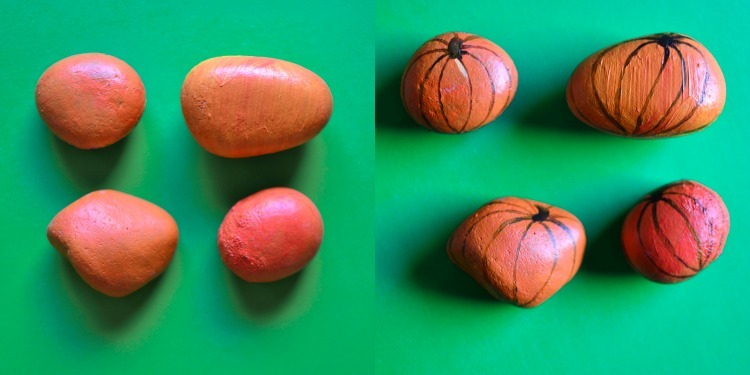 After all, plump and round little rocks are very much like miniature pumpkins. 1 — Paint the rocks orange. If your set of acrylic paints doesn’t include orange, as mine didn’t, mix yellow and red. 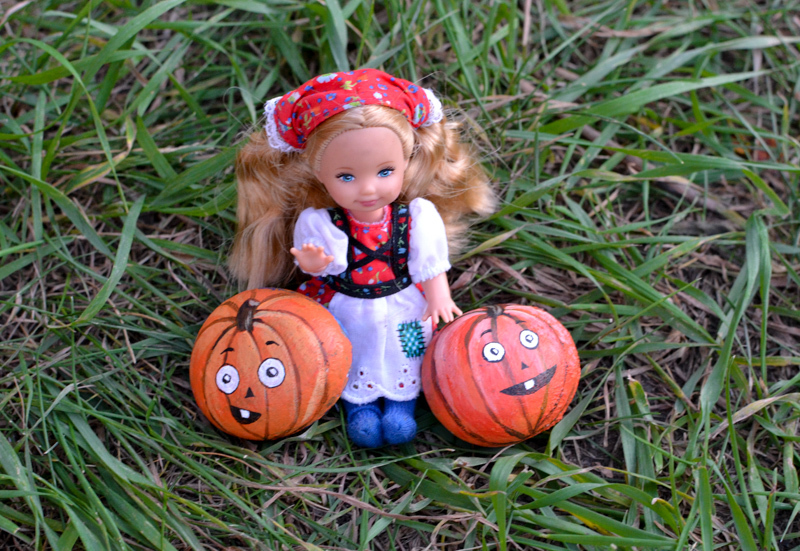 I think that different shades of yellow and red add character to the pumpkins, like natural variation. I don’t use primer for painting rocks, but I do use heavy body acrylics for a thick layer in one coat. You can do that, try priming the rocks with gesso first, or simply give them a few coats of whatever paint you’re using. 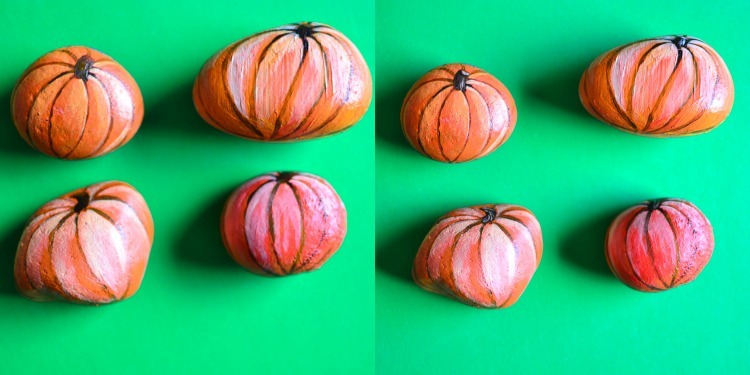 2 — Dilute brown paint with water to make it semi-transparent and mark the ribbed structure of the pumpkins’ sides. Use undiluted brown for painting pumpkin stems. 3 — Dilute white and brush it around the ribbed edges, giving them a bit of form. 4 — Add a couple of highlights to the stem as well. 5 — Use ink pens (or a very thin brush with black acrylic paint) to outline the facial features. 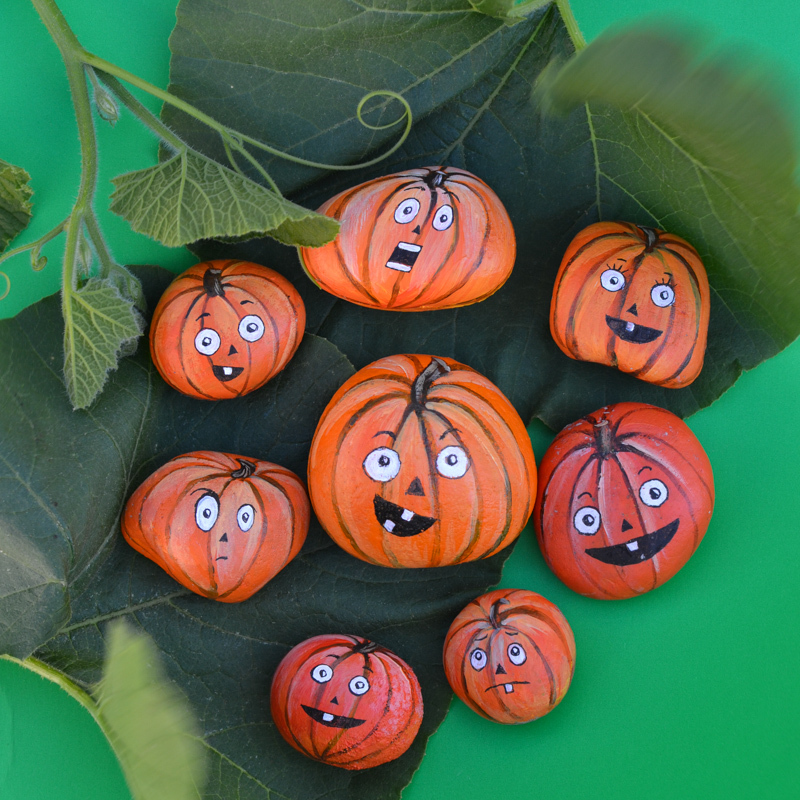 You can make them look like traditional carved pumpkins – I did something like that when I painted garden markers. These guys have a more animated look with white in their eyes and teeth, which is the next step – paint eyes and teeth with white. Last, add details with an ink pen (or a brush) – eyelashes, irises, eyebrows, etc. 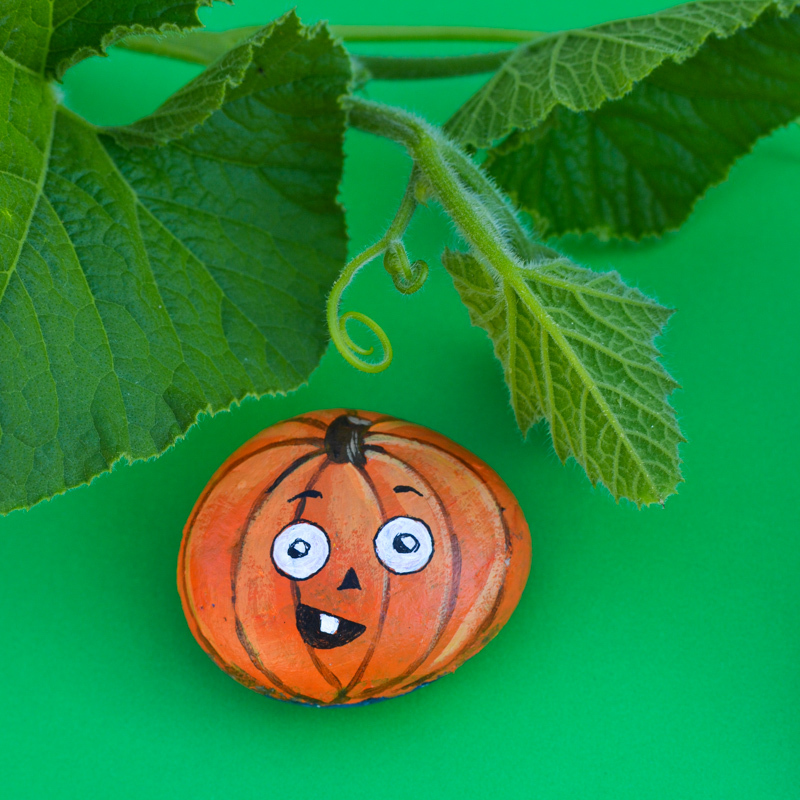 Pumpkin rocks would be perfect for hiding around the city in the fall. Are you participating in this new artistic trend? Use them for decorating your porch, flower pots and windowsills. Let the kids play with them. They fit well with the dolls in doll houses and imaginary worlds. 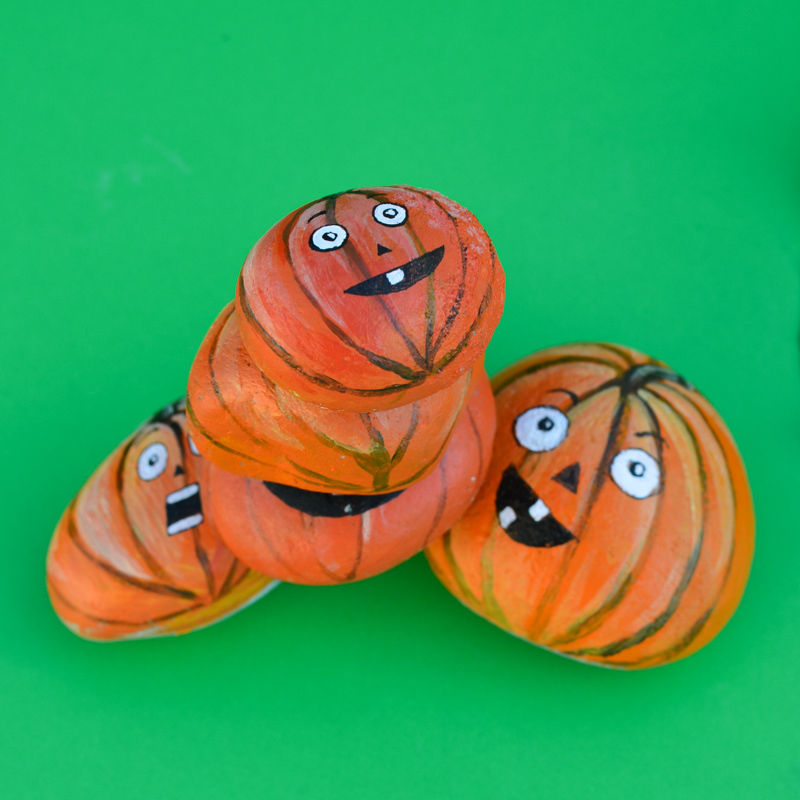 Or challenge the kids to stack them up! 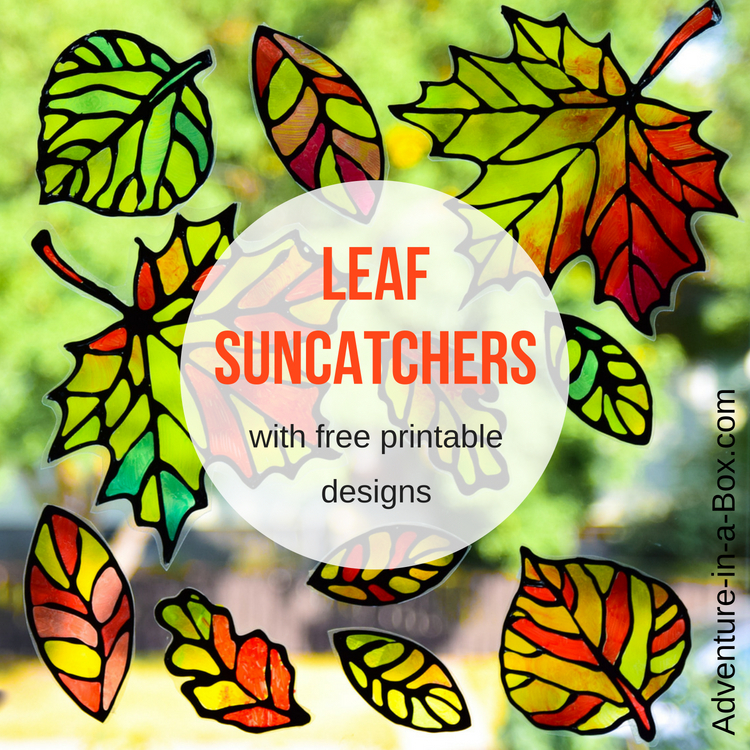 Bright and vibrant leaf suncatchers for the windows! 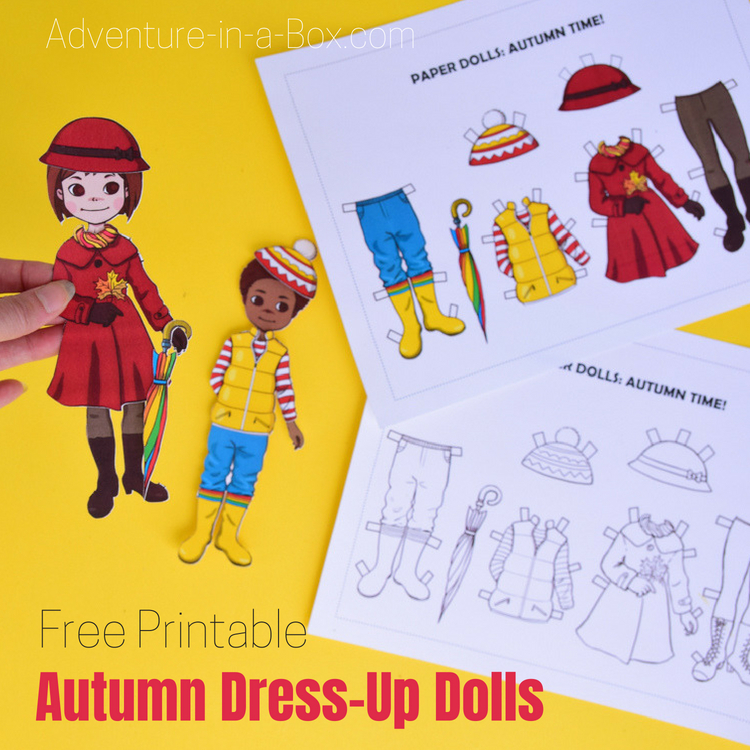 Make paper dolls and get them ready for the fall! 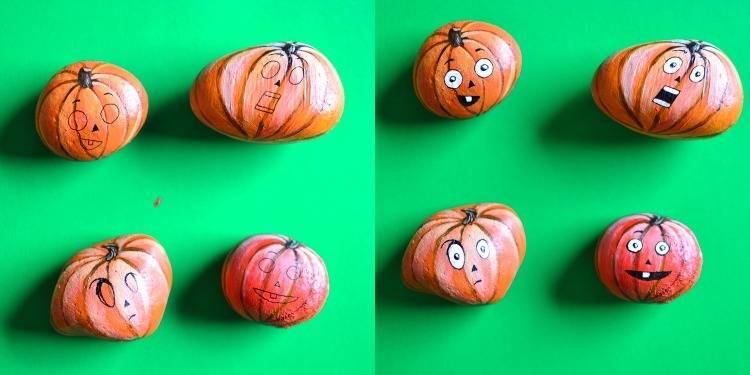 Thanks for publishing this creative fall painting project; I am looking for rocks today and may paint up some decorative gourd and squash designs too. You broke this into simple to follow directions and it sounds like lots of fun! I love autumn….